What do you mean next Christmas? Christmas was, like, yesterday! I know, I know. However, now is the time to set your budget for next Christmas and to start saving money for it. You know how much you spent on gifts, food, entertainment, and all the little extras. If you don't know, now is a good time to find the receipts and add them up. While you might be in shock over how much you spent, you need to take the time now to come up with a plan for next year. My goal is to pay cash or have the money in my checking account to pay for Christmas. I start early buying gifts so I can spread out the spending more. Saving money now allows me to start buying early because I have the money already saved. If you were forced to use credit cards to pay for Christmas this year, this plan is for you too. Pay off those credit cards as quickly as possible and start putting some money away for next Christmas. If you used credit cards for the points and cash backs and can pay them off right away, that last little bit was directed at you. I understand using credit cards for those sort of things. Just be able to pay them off right away, okay? Saving money for next Christmas can be painless, but might also require a little sacrifice of time, money, and giving up a guilty pleasure or two. You are trying to not stress about how to pay for Christmas when December rolls around. You want to give the best Christmas you can reasonably afford to. This is how you can do that. 1. Set a budget! Look at how much you spent on this previous Christmas. Did you spend more than you thought? Were there some surprises you were not anticipating? Do you or your significant other like to go overboard with the gifts? Now is the time to look at these things. You can set your budget according to what you spent this year. If you thought you spent way too much, set a specific dollar amount you will spend on the kids, grandkids, parents, and everyone else that you bought for. If you know that you will have to chip in on a gift for the boss or a coach, figure that in. Then set a budget for food, the extras, and entertainment. For the rest of the steps, my estimated budget is $1000 (which is close, but I using this amount for figuring the rest of the steps). 2. Come up with a savings plan. You know how many paychecks you will have between now and next Christmas. In my case, exactly 26 paychecks will happen. 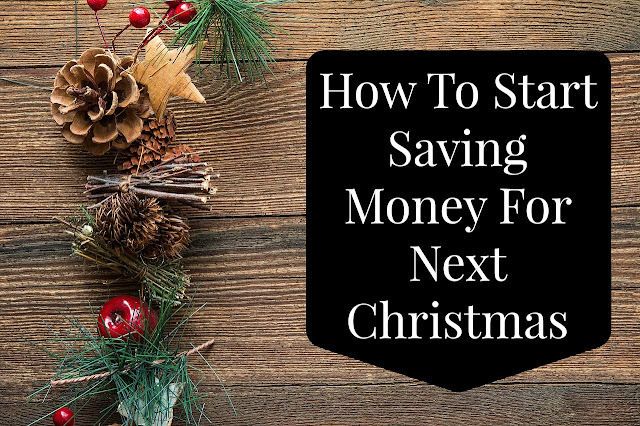 How much can you spare from your budget to save for next Christmas? I know I can usually spare $25 a pay period (and that is being stingy). At roughly $50 a month, I will be saving $600. An easy way to make sure the money is being saved is to have it automatically taken out of your account and put directly into a savings account. You can do this by having it direct deposited from your paycheck or setting up an automatic transfer with your bank. If you have good self-discipline, you can do the transferring yourself. 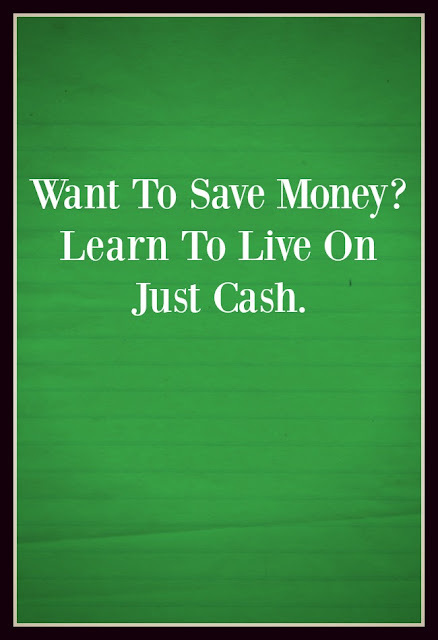 Some people prefer to save money as cash and to use cash. You can still withdraw the money every pay period and put in an envelope marked for Christmas. If you think you might have trouble with spending it on other things, put it somewhere safe in the house and not in your purse/wallet. Otherwise, leave it with a trusted family member or friend who will also not spend it for you. Put this money away in the Christmas savings. If you earn more money than you need, then keep saving it for other things. You can never have too much money saved, especially in the emergency fund! 4. When you do decide to start shopping, spend wisely. You never know when you might trip over a deal of the lifetime on something you wanted to give as a gift. When you do spend, use the cash you saved or transfer the money into your checking account. 5. Keep a careful accounting of what you are spending through the year. You can use this for the following year's Christmas budget. Sometimes, surprises happen and you have to spend money on a gift you were not planning on. Keep the receipts in an envelope with a small ledger of what spending has occurred. This way, you can figure that in for next year. 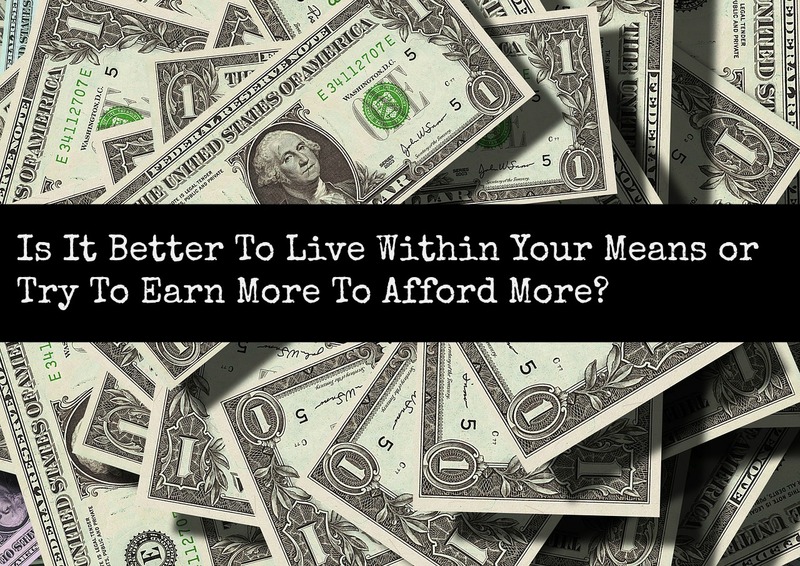 Is It Better To Live Within Your Means or Try To Earn More To Afford More? This is the fairly simple question. The answer is much more complicated. Is it better to learn to live within your means? The answer should be yes for many reasons. Many people struggle with this though. We think we are entitled to things. We think we deserve certain things because we work hard. 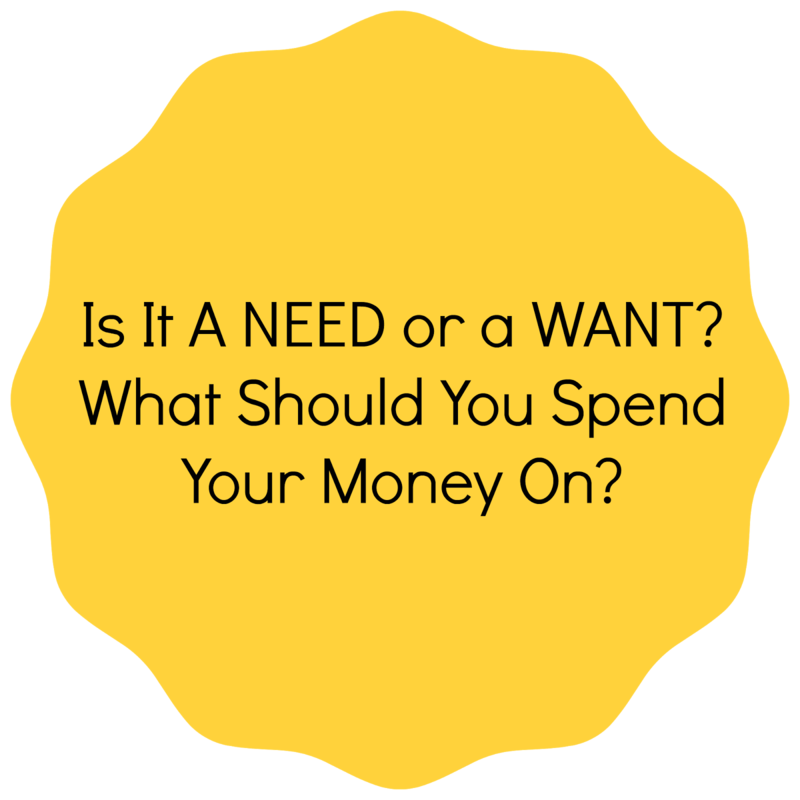 We think we should have a fancy house, a new car, expensive vacations every year (sometimes multiple times a year), name brand clothes, the newest gadgets, expensive cell phone plans, satellite/cable television, and more. Saving money and working towards things like homes and cars was a concept that was extremely common until the late 1940's and the 1950's. To be in debt to someone was considered to be a temporary thing, not a lifestyle. Debts were paid off quickly if debt was even accrued. Cash and bartering was the common practice. Producing your own goods was considered the best thing for families. It was a matter of pride to have money in the bank. Attitudes have changed. Drastically. Marketing targeted the newly created middle class and baby boomers. Buying on credit became the thing to do in order to have nice things. You work hard so you deserve to play hard. You kids needed the newest toys. If your friends have it, so should you! Why have old things like hand-me-down furniture when you can have new furniture? Young adults then wanted what their parents had. They didn't realize or didn't care that their parents had worked hard for what they had. They didn't understand how their parents had scrimped and saved for their home, nice car, and relaxed middle years. They just wanted what their parents had and they wanted it now. Whether or not they made enough money to afford it. Who cares if they could afford it? They could just buy it on credit! The lesson that was forgotten in just a few generations was to learn to live within their own means. To budget their income. To save for what they wanted instead of using a credit card or borrowing the money. I have no room to talk, by the way. Most of us do not have room to talk. We learned from those around us. I was fortunate to have extremely frugal parents, but they struggled too. I have had some extremely hard money lessons. I thought I could handle all the debt I accrued and my daily expenses and bills too. I was pretty stupid. I still struggle with living within my means. Every two weeks, my budget is planned out. However, a major unplanned expense can throw my budget off for months. A small miscalculation can have me overdrawn for a week or more. Even though I make extra money from my Ebay sales, this blog, and selling things online, sometimes it doesn't seem like enough. Unfortunately, most of us are this way or have been this way. Being in debt is stressful. Many people cannot afford to miss work or use very limited personal time off. Many cannot afford to miss a paycheck or to lose their jobs. Many struggle just to live within their means. So they try to earn more. Adding to your income can sometimes be the solution to getting out of debt or getting some necessary home/car repairs done. Whether it is a series of small independent jobs, a part-time job, working a side hustle, working from home, or selling off unnecessary things, making extra money can always help. However, these can come at a cost too. You can become dependent on the extra income and pretty soon that will not be enough either. You will spend even more time away from loved ones if you work outside of the home. Temporary sacrifice can be a good thing to help pay off debt or to get your savings built up, but long-term sacrifice can have an effect on your life, your relationships with loved ones, and your health. Is it worth it? Even if you work from home to make extra money, there is a cost involved. You have to spend time away from the family in a quiet space to work. If you work after everyone goes to sleep, you get less sleep which impacts your health. Income is not always consistent. Depending on the week or season of life, you might not be able to work as much as you would like or need to. Sometimes, working at home also involves spending more to make more which can not always be a good thing. Don't get me wrong - I think working at home to make extra money is the way to go if you can do it. It takes a lot of discipline to work consistently and get as much done as you can with the distractions around you. You have to make your life just as much of a priority as your work, but it can be done. If you are single and alone, these costs may not bother you. If you are in debt or need extra money for a new car, by all means, try to earn more. It is better to live life, go into a relationship, or even a marriage debt free and with a comfortable cushion of savings. However, if you are working more to afford more, is it worth the cost? Is spending time away from your family so they can have more worth the cost? If you are working all the overtime you can get to be able to live in a five bedroom home when a three bedroom home would do just fine, is it worth it? If you are driving a gas guzzling status symbol to work when a small compact would cost so much less, is it worth it? Is killing yourself to be able to afford more worth it? I think it is better to live within your means. I say this knowing that I work a few jobs from home, but I am trying to build a cushion in my budget and be able to afford repairs, birthdays, and holidays. I try to work when my kids will be the least impacted like over my lunch hour or at night after they go to bed. Sometimes I include them in my work if I can. I tried the part-time work outside of the home and the sacrifice wasn't worth it. I missed too much time with them and, as a single mom, I couldn't afford to do that. So I learned to live within my means and make sacrifices at home of things we did not need. Learning to live within your means makes you more content and happier. You don't feel the pressure to keep up with the neighbors or your friends because you made the commitment to make the most of what you earn and that's it. If you need to earn more, you know it is because you need to get something you need or to make repairs that are in your budget. What do you think? Is it better to live within your means or try to earn more to afford more? Are you tired of pinching pennies? Are you tired of beans and rice? Are you tired of wondering when the debt will be paid off? Frugal burnout is a real thing, folks! Constantly watching your pennies and wondering when you can afford what you really need or want just gets to you after awhile. I know, for me, that I just get tired of it all. I get tired of checking my bank account constantly. I get tired of keeping track of my spending. I get tired of not being able to buy whatever I want. I get tired of saying no to my kids. You get the idea. Being that aware of your money all the time can wear a person out. Even though you should have an emergency fund, real life happens. Your car breaks down or an emergency room trip happens. It just makes you want to throw your hands up in the air and cry! You are trying so hard to get ahead! You are being as frugal as you can and life is still tough. This is where frugal burnout comes in. You get so tired of trying to be frugal and pinch pennies that you just give up. You lose track of the goals you set. Your budget starts to go awry. You make a purchase of your credit card. 1. Look at and assess your financial goals. Having your goals written out and visible helps to keep you focused. Some people need visual reminders to keep motivated. Having a meeting with your significant other (or yourself) and reassessing your goals every month will help keep you on track. 2. Stay motivated! Keep track of your progress. Make a chart showing how much you have to pay off and how much you have paid off. Keep the chart updated and celebrate your progress in a fun, free way. 3. Have fun! Laugh a little! Sometimes people can get way, way, way too serious about being frugal and then they get burnt out. Remember to have some fun and laugh! Play games, attend a free concert, have friends over, watch a funny movie, and cut loose for awhile! Your outlook on your frugal life will be much better for it! 4. Realize setbacks are inevitable and you can do this. Stuff happens. You can plan and anticipate as much as possible with your budget and finances. However, sometimes the car battery will die. You might get into a car accident. You might be laid off from work unexpectedly. You can still be a frugal maniac! Regroup, replan, and get back at it! 5. Find someone who is frugal and start a support group. Seriously, find some like minded people. They are great for accountability, for new ideas, for support, and for having fun with! 6. Watch your favorite frugal YouTube videos and channels! Get yourself some inspiration! I love to listen to YouTube videos while working or just working. I have learned some great tips and ideas that I would never have thought of myself. Listen to others talk about their frugal ideas and journeys have given me a lot of motivation and inspiration over the years. Some of my favorite frugal YouTube Channels are Living on a Dime, Big Family Homestead, Jordan Page Fun Cheap or Free, Lydia Senn, and frugalgreengirl. 7. Read the Tightwad Gazette (or reread!). I am not kidding. 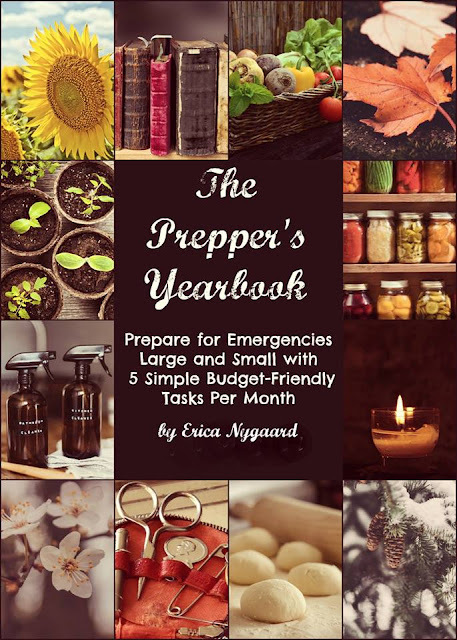 This is the best frugal book out there. I learned so much from this book and was able to adjust my attitude in several areas of my life to become more frugal. If you can not afford it, ask your library if they have it or can get it for you. Take the time to read this book from cover to cover. You will not regret it! 8. Reassess the budget. Sometimes the budget needs tweaking. You should review it every month. However, even I am not very good at this. Take some time this weekend to see if the budget is working, where you need to improve, where you can cut back at, and where you are spending your money. Whatever your frugal goals are, you can do it. If you get into a slump, use one of these ideas to get you back on track! 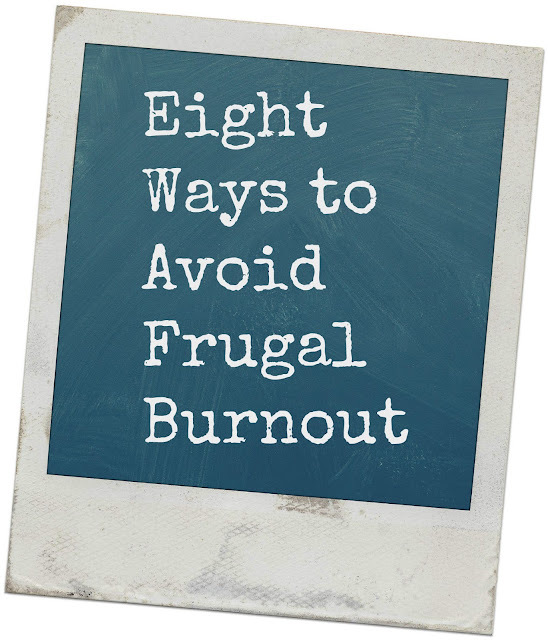 What do you do when you are in a frugal burnout? November started out with really great intentions. I was set up for the month with one grocery trip and two trips to other stores. I was hosting Thanksgiving and thought I knew how many people were coming. Then two days before Thanksgiving hit. 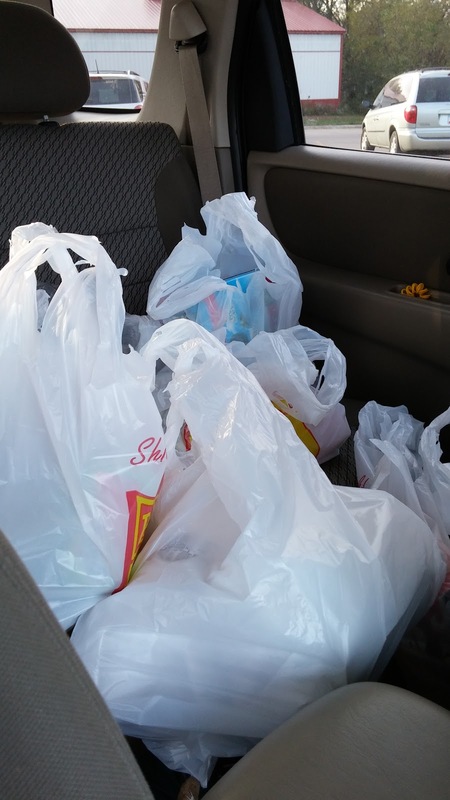 We made a trip to the store when I figured I did not have enough food (I was wrong, of course). We had more people coming along with bad weather and I started to panic a wee bit about having enough food. So I went to the store and spent another $50 I should not have spent. If that was not bad enough, I went back the next day too! However, I am not sure I am counting that since it was Rob's food I was buying and being reimbursed for. He just couldn't make to the store after he got off work (he's a trucker). I also made a trip to Dollar General. I had a $30 gift card that I had earned a while ago for trying a product and taking a survey. It wasn't a specific card to Dollar General, but could only be spent in certain stores and Dollar General was the only one close to me. I had this card for awhile and realized it expired the end of November! Eek! No matter what the experiment is, I cannot throw away free money! I did, however, make it into another experiment that I hope to blog about this month yet. I did cancel my Amazon Subscribe and Save this month. I didn't feel right about taking it and I didn't really need anything that was being shipped. My kids might argue with that, but they will live. Month 3 actually began last week. I did grocery shop a few days early and without a detailed list, but I was driving by an Aldi's. I do not pass up an Aldi's when I drive by one because they are usually cheaper than my regular grocery stores. Case in point: This month I spent $120 on groceries for almost the same stuff that I bought last month for $175. I was able to get a half-gallon of Paige's milk for $2.79 each versus paying $3.99 at our local stores. Almond milk is about the same. Produce is almost always cheaper as is spices. I am almost in love with Aldi's and try to do all my grocery shopping there. And with some big changes happening at my house in January, shopping cheaper will become even more important. Rob is moving in with me at the end of January! Yeah (like jumping over the moon yeah!)! Like I mentioned, I did not have a list. I really hope that doesn't end up being a disaster. I do keep a list on my phone of things I run out of so I know I need to get those things. I also don't have a specific meal plan for December. I am trying to use up expired and soon to expire food in the pantry right now so meals are being based around that. 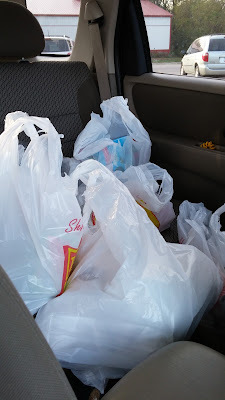 I also made a trip to K-Mart to get two bags of dog food, six cans of wet dog food (I had 2 - B2G1 Free coupons), two bags of treats (B1G1 Free coupon), three small bags of cat food, and 1 bottle of conditioner. I spent $64 there after coupons and discounts. I made a trip to Target also to get under eye concealer (K-Mart doesn't carry my favorite brand), two bags of whole wheat flour, and some Christmas cards. I spent $20 there with coupons and discounts. I think this month will go better. I am still Christmas shopping, but hope to get that done soon. I also usually make French toast, bacon, and Apple Fritters for Christmas brunch. I did not buy any Texas Toast Bread for the French toast because Aldi's did not have any. I might try my hand at making French Bread for French toast. Otherwise I will be making a very short trip to the store for that and more apples if they supply doesn't hold out. Dane eats 1-2 apples a day so that is a distinct possibility! I also don't know what I am bringing to my parents for Christmas there. Most of our family meals are potluck, but those bringing food are usually assigned a food group like bread, vegetables, salad, and whatnot. I should probably ask my mom what she wants me to bring! Hopefully that won't mean a trip to the store either! As you can see, I am not perfect. 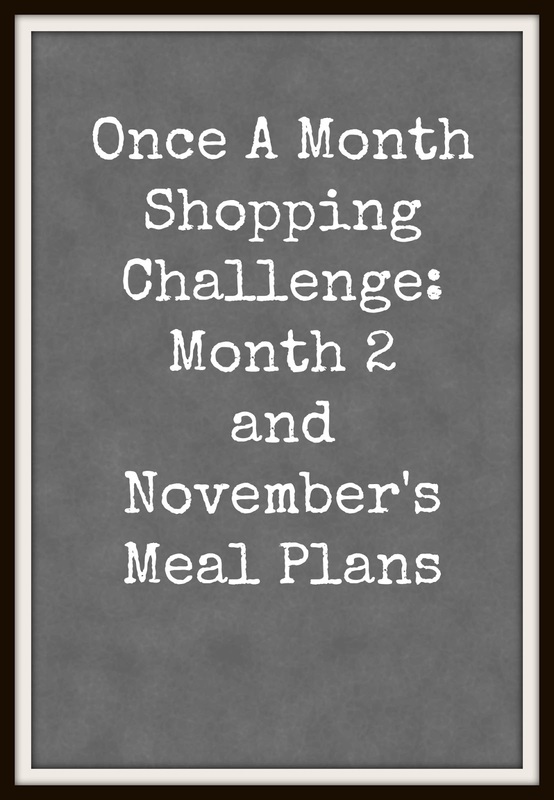 I try and I do love this challenge because it is keeping me out of the stores and on budget. I will have some new challenges coming up with this challenge, but Rob knows about this so he won't be surprised. If he wants something, he will just go get it himself. How did your month go? What surprises are you anticipating for this month? Want an Easier Life? 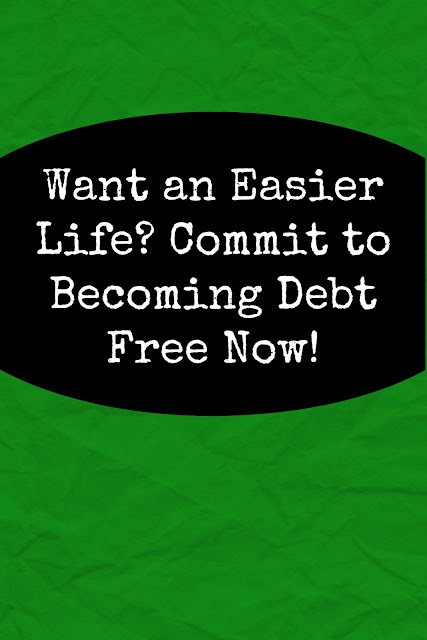 Commit to Becoming Debt Free Now! Life is what you make of it. I want a life away from worry and stress. I want a life that I can control within reason. I can't do that when I am stressing out and worrying. The single biggest thing that makes me worry and stress out? Debt. Debt can rule your life. It can make you a slave to your money instead making your money work for you. It can cause your to lose sleep, become anxious, and generally be cranky towards those you love (and not love). Debt can be the factor that breaks up marriages, drives a wedge between family relationships, and can even cause medical issues due to stress and anxiety. I don't and you don't either. Do I know what I am talking about? Oh yes. I still struggle with it even today. I was doing well, but our medical bills exceeded what I had set aside in my emergency fund and savings. Ouch. I have insurance, but with deductibles and out of pocket expenses I got socked a bit. I still have a student loan that I was planning on getting rid of in the next year. And I have the dreaded car payment (that should be disappearing soon). So I commit to becoming debt free. I want these bills gone. I know a lot of this will go away soon with my tax refund and extra income coming in, but in the meantime I am making payments on the medical bills, a student loan, and a car payment. And I hate it. I am anxious about it. I am already an insomniac so losing sleep is already normal. Having debt doesn't help the insomnia though. What do I do about this? What should you do about this? 1. I make monthly payments. No matter what. Even if my budget only allows a $25 payment, that is what I do. Making a monthly payment shows that you are making an effort to pay the bill. Making monthly payments will also keep you out of small claims. 2. I make a list of my debts from smallest to largest. Dave Ramsey suggests this in his debt snowball program and I totally agree with it. I tackle the smallest debt first. When that debt is paid off, I continue onto the next debt. If another bill shows up, I readjust my debt list to include that bill. I was still getting new bills from a doctor appointment and tests in August in November yet. I was constantly shaking up the list for three months in a row. 3. I make a plan of attack. I look at my budget and decide what I can do to pay now these extra debts. This month I paid off the $52 bill to one hospital. I have four other medical establishments to deal with yet (labs and radiology reads, MRI at a different hospital, dental, and our usual hospital). I paid $50 to each of the other places. The next bill is $130 and I will tackle that next month. I continue to make the same payments for student loan and car. I know from working in accounts receivable that companies would rather see an attempt in payment even if the amount is low. If they do not see an attempt in payment, they wonder if you ever intend to pay and will proceed with tougher bill collecting. Most companies understand that people are on tight budgets and tough times happen. You should always talk to the companies and try to pay what you can. 4. I look over every bill before I even begin to think about paying it. I caught a mistake in October when I realized that the company that reads the MRI did not file to the right insurance. While I knew this was probably going to the deductible on the insurance, I also knew I would benefit from having it refiled right. I did benefit from it because the bill was cut in half with the savings from Blue Cross Blue Shield. You need to carefully read over every bill and question everything. Don't be afraid to call either and ask what a certain charge is. You should be able to understand your bills. 5. I commit to avoiding debt in the future. This year I had one daughter injure herself and another daughter who needed treatment for an old injury. These were unavoidable and not within my control. I try to save my money for these situations and avoid the situation I find myself in now. I am going to save money for a vehicle for when I need to purchase another one. 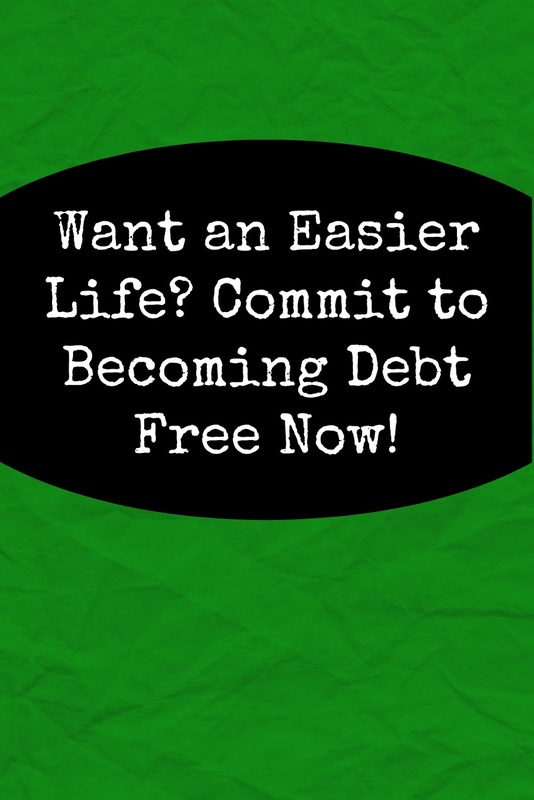 Committing to becoming debt free only works if you pay your debts you have now first. After you have those paid off, take that money and put it in savings for the next crisis or large purchase. Using credit cards or using charge accounts will not help you stay debt free either. Being debt free means not accruing debts and creating more. Here we are, Month 2 of the Once A Month Shopping Challenge! I cannot find the receipt right now, but I know I spent $76 with taxes and we saved $25 with coupons and discounts. Some things like cat litter have gone up a bit and that surprised me. 1 bag of Fast Set Repair Mortar for the basement drain. We have caught snakes coming up through the sides of it where the cement has crumbled. I had a Menards rebate check for $10. My total after that was $19. Not too bad! I also got another rebate to mail in when I bought the window kit. The third stop was to Fareway. This trip was for groceries and this one hurt! I won't list everything because this was a big grocery shopping trip that included Thanksgiving. I am hosting it this year! I spent $174.00. I am still in shock, but I am trying to step back and realize if this is for the whole month, that is not bad at all. I shopped a lot of deals and saved quite a bit that way. I did have to buy meat which always kills me. I bought two roasts in addition to the meat listed which were $18 total. That is just expensive, but both roasts will provide two meals and 2-3 days of leftovers afterwards. That is not bad. I already have the turkey and ham in my freezer for Thanksgiving. I bought potatoes, stuffing, apple cider, cranberries, and fried onions for the green bean casserole. I have a lot of food in my pantry already for side dishes. Plus our holiday meals are potluck so many other people will be bringing more food. The November Meal Plan is going to look similar to October's meal plans. I will be incorporating more slow cooker meals that are low carb for me. The kids will probably have rice with them, but I need to be more diligent about sticking to eating better. I have my freezer meals for the slow cooker and we are also trying Slow Cooker Mongolian Beef and Slow Cooker Ropa Vieja. I can't wait to try them! I realize the leftovers are a tentative thing. I usually make a lot when I make slow cooker meals so we have plenty of leftovers. However, I am living with the joy of a growing boy. If he is hungry and even remotely likes the meal, he can eat a lot! Holy moly! Paige can also eat a lot too which makes for an interesting meal time some nights. As always, I make my own bread and snacks for myself and the kids. We have chickens that produce eggs which is my breakfast almost every morning. This month, I am going to try to make my own tortillas (those are more expensive than ever!). How is your shopping challenge going? What are you planning for meals for November? 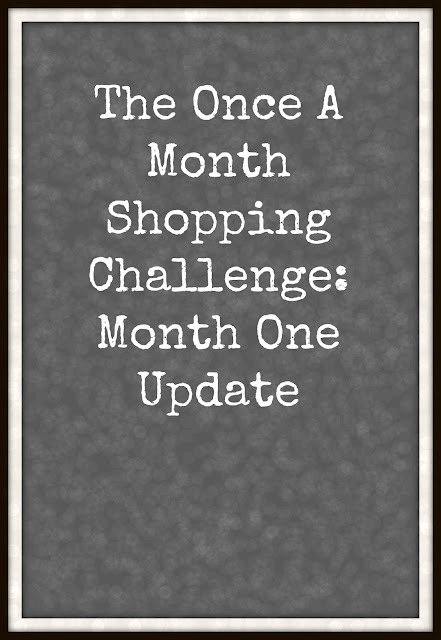 My first month's Once A Month Shopping Challenge will be done in just a few days. I will probably go grocery shopping a few days early due to how my budget works and when I get paid. However, I wanted to give you an update so you can see how it is going so far. I feel like I have been freed from shopping. Really! We have found so many creative solutions to problems like Paige's Halloween costume. The kids have been on board with this challenge and they like it so far. They even went grocery shopping with me for the month. They thought about things I had forgotten to write down and what I had not fully planned out (cold lunches). For the first three weeks, this challenge went smashingly. 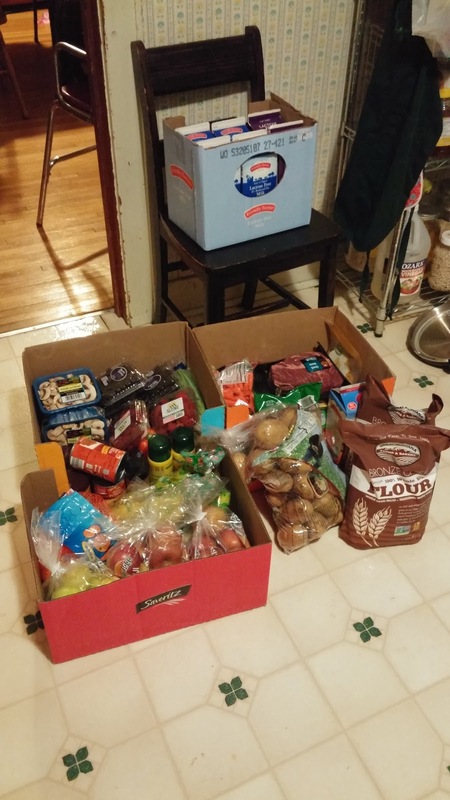 We are naturally frugal as a family so this challenge didn't hit us too bad. 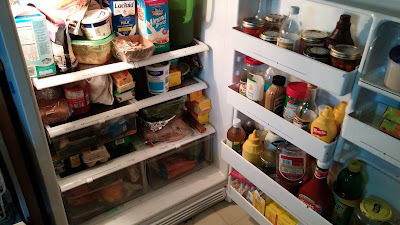 We had a lot in food storage and full freezers which helped greatly. We made a good dent in the upstairs freezer and hope to get more done there in the next month. We made bread like usual, brownies, molasses cookies, and energy balls for snacking on and to add to cold lunches. Like I thought in the original challenge, we did not need to purchase any personal items like shampoo, conditioner, and whatnot. I know we will need to this next month, but I need to take inventory today. I actually don't like shopping so this was a win for me. I just need to plan a little better! This last week was the failure. Rob came down for the weekend, Paige had a sleepover, and Halloween happened in one weekend. I went to the grocery store and Kmart twice each! The truth of this was I didn't have these things on my radar when the month started. I also believe in having things that the guests would like on hand. Rob is not exactly a guest, but his morning beverage of choice is Diet Coke and I got him some. We got some ice cream that Paige could have for her sleepover. Dane conned me into buying more Go-Gurt that was on a really good sale because 11 year olds are good at spotting those things. We also got pumpkins for carving and garlic bread for lunch. Kmart runs involved a new phone charger, face paint for a Halloween costume, a tiara for Paige's costume, make-up remover wipes, pots for replanting herbs, and more potting soil. I was bummed that I had to place an order on Amazon today. However, we need fish filters and weekend feeders for the goldfish and I got some more gifts for the holidays so the hit on my budget will not be so bad by Christmas. The fish filters are $16.00 cheaper on Amazon then buying at our local store. I also got an eight pack of stainless steel earrings ($8.00) since I have really sensitive ears. The only jewerly I were is earrings so this is important to me. Some of the sizes are not ones I would wear, but I will turn those into stocking stuffers. And then there is the matter of the Halloween costume. I bought one off of Ebay for cheaper than I could find it otherwise. Dane insisted on being the Joker and we had nothing we could make work for that. Grrr...but he was a good Joker! However, it will only be one order for Amazon and one order for Ebay. Nothing else left to buy for this month. I hope. I did stop at Walmart one weekend and pick up dog food. I had that already figured in for a shopping trip, but I am already thinking I should have bought a bigger bag. I ordered chicken feed through my work and that should last us two months by my last calculations. My Amazon Subscribe and Save order. I won't actually receive it until the new month starts, but I am not sure where that falls into this challenge. I use this to get things I use a lot cheaper. 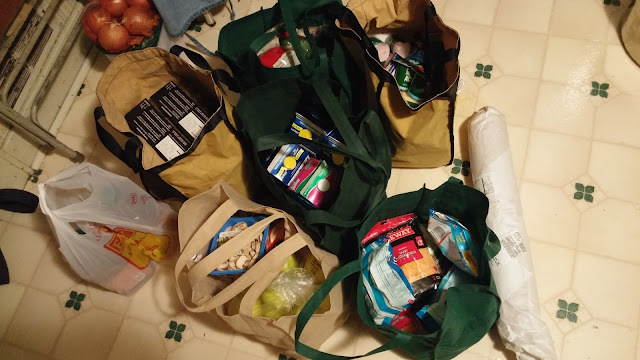 This month's order included protein powder, cod liver oil soft-gels, vitamin D gummies, green tea, ground cinnamon, dog treats, and face wash.
We will need cat food and dog food next month. I also need to pick up a bag of cat litter since our current bag will probably not last another month. I will probably pick up a chicken feed block too to help combat boredom and fighting in the chicken coop. I am still planning my grocery list. I have kept a careful list of what we ran out of so I would remember to get those things again. I am not sure where we are having Thanksgiving yet, but I have two whole turkey breasts and two hams in my freezer that can be used if at my house. No matter where we have Thanksgiving, it will be a potluck affair so I just need to have the basics. I have plenty of things on hand for desserts. I will probably do some more Christmas shopping during the month so I am not doing it all in December. I will have to also do some birthday shopping for Paige since her birthday also falls in December. How are you doing in your challenge? Want To Save Money? Learn To Live On Just Cash. Money is necessary. It is not evil and it is not good, but it keeps gas in your car, heat in your home, and clothes on your back. Most people need to have money for one reason or another. We would all like to believe that we don't need money, but we would be lying to ourselves. However, money is not the problem. The way you use money can be a problem. Many people rely on credit cards, floating checks, and not paying bills to pay for groceries. I know all about these tricks because I have been guilty of doing all three at one time or another. Most people have done that or worse. In fact, my budget went bust in September due to a high rise in school expenses. I did not have that much money budgeted for school expenses (budgeted $100, actual cost $250). In addition to higher school cost in August (budgeted $125, actual $225). These were not my kids' faults and the expenses needed to be paid. High school is a little more expensive at this school. However, it didn't help my checking account. So I started going back to some tricks to get me by when my budget goes bust and my bank account needs a break. The first thing I did was join the Once A Month Shopping Challenge. Only shopping, especially grocery shopping, once a month will help my budget greatly. My spending was halted immediately. I had been making 2-3 shopping trips a month to just the grocery store. That is done. The second thing was to pledge to use cash for any other miscellaneous expenses this month. However, I am not withdrawing cash from my checking account. Like I said before, that account needs a break. I will pay bills, gas for my vehicle, one grocery trip this month, and any other major incidentals from my checking account. However, I am still using cash first before using my bank account except for bills. How am I living on cash this month? 1. I am having an online garage sale. I am selling our unwanted things on Facebook garage sale pages and Craigslist. I already have a seller account on Ebay and some things have been listed and sold there too. 2. I am taking cans and bottles back to the redemption center. In Iowa, you can get five cents back for every redeemable bottle or can. We do not drink a lot of pop or alcohol, but we had enough to get rid of all the same. Plus we get cans and bottles thrown into the ditch in front of our house. That is not cool, but it ends up being our gain. 3. I am selling the excess eggs from my chickens. I could also make things to sell, but I am not very crafty and do not have a lot of materials on hand. I could also pick up some writing jobs, but a lot of times I do not get paid for a few months. However, I am always looking for new ways to make some extra cash. If you do have these options available to you, be creative. You can only withdraw a certain amount of money from your bank account to use. You can also pick up some small side jobs like mowing, raking leaves, or shoveling snow. What has this "living on the cash that I have been earning" done for me? 1. I am not just spending recklessly. Every spending decision is weighed carefully. Will I need that money for admission to an event at school, dog food, gas for the car, or something else? Will the kids need something? I don't always know so I try not to spend the cash. 2. No more extra spending. I had to buy dog food on Sunday. I walked into the store, grabbed the dog food, paid for it, and walked right back out of the store. Before this month, I might have grabbed a few other things that we didn't need right away. Now that is not an option. 3. I use cash first before using my debit card or check book. If I have cash, that is what I use. The other two things are only to be used in emergency situations. 4. I enjoy free things even more. I have always taken a lot of joy from the free things in life. However, this has amped it up a bit more. I love free! I also appreciate when sudden surprises show up like a friend bringing me a soda today, just because. 5. I have been trying really hard to waste less. I am actually working on becoming a zero waste household, but we still have a few obstacles to overcome. I am a naturally frugal person who doesn't like to waste anything, but I find myself unconsciously wasting food or things we have. I am working harder on being better at not being wasteful. Life really is easier living on cash. I know a lot of people say if they have cash in their pocket, they feel like they should spend more freely. In that case, those people need more self-discipline and an alignment of their priorities. 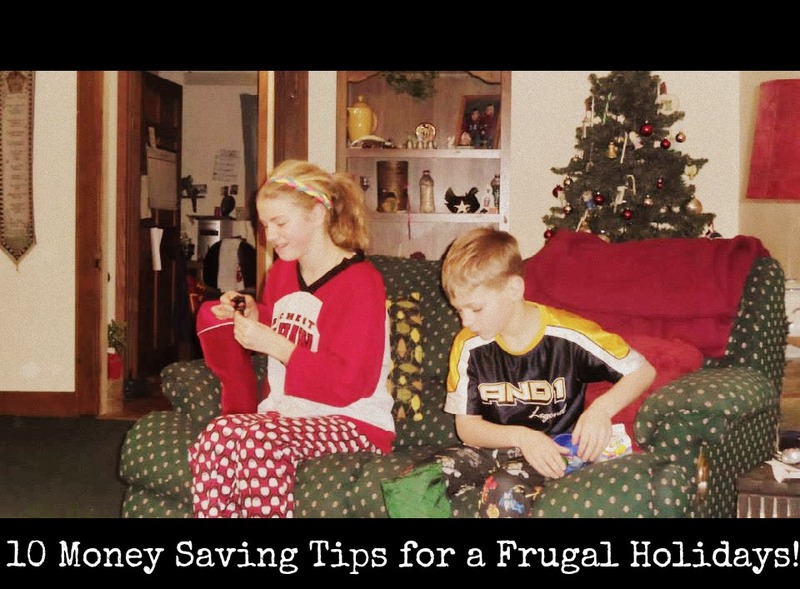 Cash, on the other hand, can help your frugal tendencies because you don't want to spend it. I talk myself out of a lot of purchases when I have to spend just the cash I have on hand. I am also enjoying this challenge. I will probably continue it as long as I can. I have four kids so I have a lot of things to get rid of! What is your feelings on cash? Are you a cash only household? Do You Want To Join The Once A Month Shopping Challenge? Do you want to save money? Do you want to shop at the store less? I know I do! I used to shop only once a month for groceries and I have fallen off the wagon. Sad, but true. 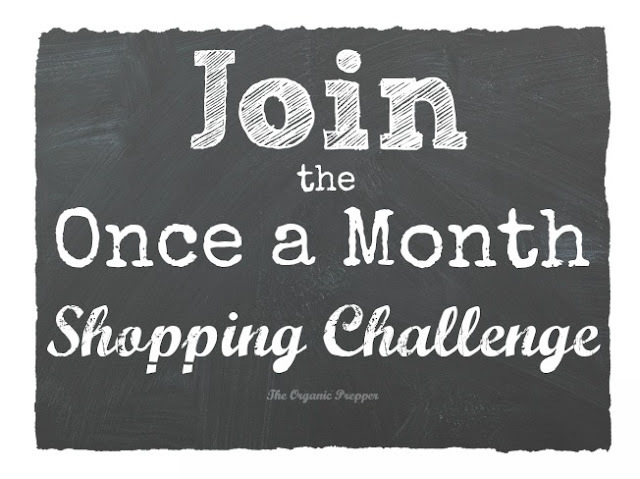 However, my friend Daisy at The Organic Prepper has issued a Once A Month Shopping Challenge! She is challenging fellow bloggers and readers to only shop once a month for the next six months with a little leeway for the holidays. Check her out here to see the rules and what she has planned! Yesterday was my grocery shopping day. I got paid on Tuesday, but was a little too busy (and lazy) to run to the store. I knew I would need some cheese, milk, meat, and produce to make through the month. 1. I have a very full refrigerator right now. Some of the leftovers were ignored and need to be fed to the dog. 2. We are following a more unprocessed, low carb diet for my health. I hope I can get through this month on what we have. Having to eat more protein to keep my energy up has been very eye-opening! 3. Paige is lactose intolerant which really limits what I can use for dairy and substitutes. She drinks lactose-free milk and I use unsweetened almond milk in my baking and some cooking. However, I can see making a run just for milk. She drinks at least a half gallon a week. I bought three half-gallons of Lactaid knowing we had a full one in the fridge already. Dane and I do not like the taste of milk and normally just drink water. 4. I have a very full freezer with at least ten freezer meals in it. I hope to use up some of the older meat this month. I also have a full pantry which needs some using up of the older food. 5. We make almost everything homemade with bread, snacks, and breakfasts being the big ones. We have chickens which means we have a constant source of eggs. 6. I take cold lunches or leftovers for lunch everyday. Paige takes a cold lunch at least twice a week. 7. We will be gone at least two weekends this month to Rob's place. We still make our own meals, rarely eating out (too expensive), and cook a lot on the grill. One of those weekends, we will be at his sister's house, but again everything will be about the same as if we were at his house. With that in mind, what did I buy yesterday at the grocery store for the month? Total spent with tax was $81.69. A lot of this was on sale which is how I determine what I am going to make for meals for the month. I still have to make a run for pet food and possibly chicken feed. The kids should not need any personal products and we should be good on household items. I also still need to find Dane a Halloween costume. He is outgrowing everything! 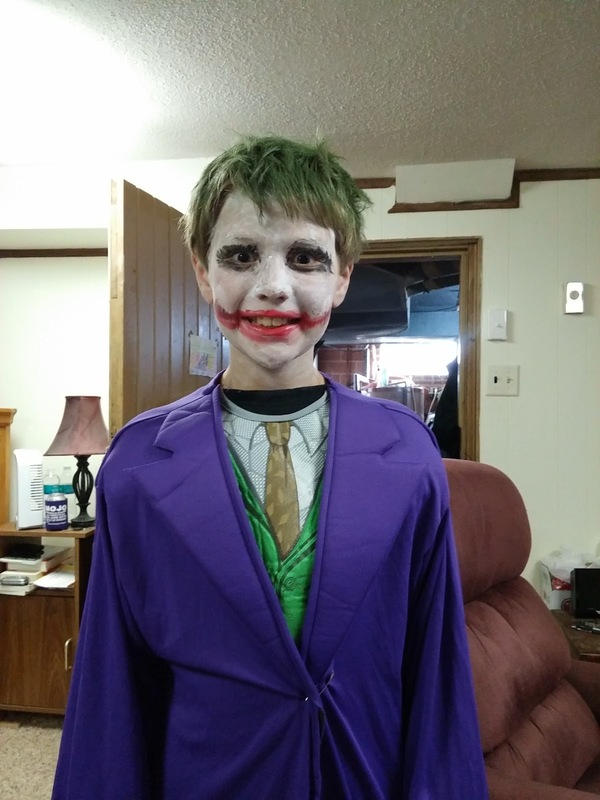 And, of course, he wants to be the Joker this year. In the next few days, I will post what I am making for meals for the month as well as any snack food and breakfast. I am still finalizing some of this due to still evaluating what needs to be used up. 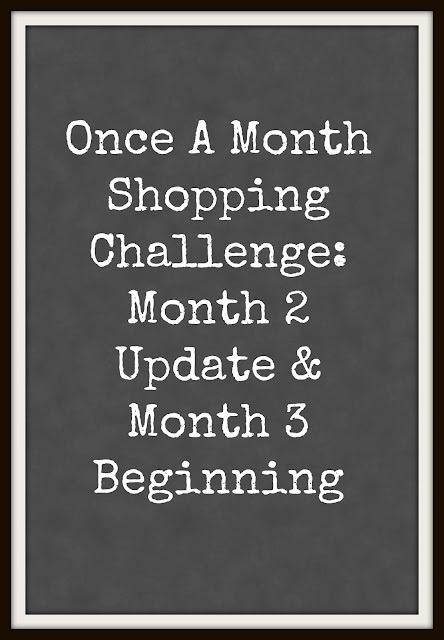 Please join us in The Once A Month Shopping Challenge! I promise you will learn a lot about yourself, your shopping habits, and your family! Pay Attention To Your Bills! Something interesting happened to me yesterday. I got my utility bill for last month. The fun thing is that it went down! Please let me back up and explain a few things. My whole house is electric. My bill will never be under $200 unless I put in solar panels or not live there for a month. For the last four years, I have been on budget billing which was working out for me. Until October. The utility company decided to raise my budget for the third time in one year. From $361 to $396 to $476 a month. I thought the last raise was ridiculous and I was justifiably irked. I went online and looked at my last two years worth of bills. On my bill, they show the budgeted amount and the actual cost for the month. My bill had only reached $400 once. Last year when it got really, really cold in January/February. I do budgets for customers where I work so I am familiar with how they are done. I did the math on my utility bill and could not come up with the amount they did of $476 for a month. Again, ridiculous! So....I went off budget. That is a big scary step for someone who wants to be on a budget. I thought maybe I had been foolish so I gave myself a timeline. Six months which includes winter. I would be off budget for six months to see if that would work. Has it been working? Yes! My bill in November - $211. My bill in December - $379. My bill in January - $344. Have I become a light dictator? You bet. Does the house feel chilly a lot? Yes. Can we handle it? Yes. I did the same thing with my land line phone bill. We were not using it and were paying $55-60 a month for it. The phone company was not willing to deal so I got rid of the land line. We all have cell phones and I needed that money back into my budget anyway. Verizon got downsized too. I dropped my data plan from 4G to 3G. Then from 3G to 2G. My bill went from $110 a month to $90 a month. After I dropped to 2G, I got a text from Verizon on being a loyal customer and offering a free upgrade to 4G for the same price as 2G. So I am back to 4G and only paying $90 a month. Booyah! My point is? Pay attention to your bills! These companies provide a service and that is great! I need it or I wouldn't be using it. However, they do not have a right to take more money than what is necessary. This is your money that you worked for and deserve to have some say over how it is being used. 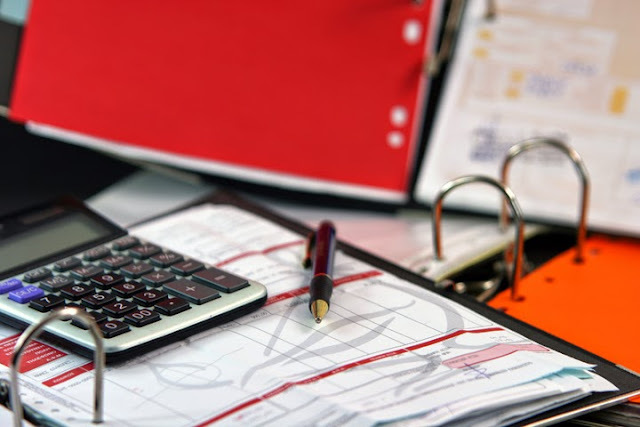 Since you are working hard for your money, working on a budget, and trying to make your money go further, NOW is the time for an audit on your bills. What are you being charged for? Why? Should you be? Should it be that much? If you are on budget billing with other companies, check their math. Add up the last twelve months of the actual month billing (not the budgeted amount) and divide by twelve. Does your math come close to theirs? If you have anything rented from them, be sure to include that. If your math does not come close to their math, call them for an explanation and an immediate remedy to the situation. My utility company could not explain well enough for me so I dropped the budget billing. Check your bank statements to make what is withdrawn is the same amount as you are being billed. I have caught discrepancies there too. Call the company who billed you immediately for an explanation. They are only human and make mistakes too. Your financial future is your hands. That life lesson took me a long time to understand, but now that I do...I take it very seriously. Look closely at all your bills and don't be afraid to question them. This is your money and you have the control over how it is spent!